Do you wake up at the slightest snore from your partner? Do you find yourself thinking violent thoughts towards the person you love because of their nasally sleep music? Or maybe it’s that you just can’t get to sleep at night. Your mind is in thinking mode and you can’t get it to quiet down for rest. You wake up multiple times during the night. Or, if you wake up to use the bathroom, you can’t get back to sleep. Whatever your sleep issue is, support is something you’re ready to accept. You no longer want to live like this. 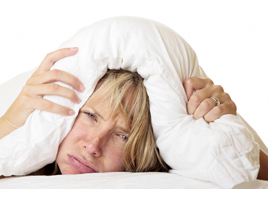 Your lack of sleep is affecting your happiness and both your personal and work life. Here are seven tips you can try out to help support positive sleeping patterns. This isn’t reserved to the iPad and iPhone. This even means your alarm clock. Shutting off your alarm clock entirely might not be in your best financial interest. Getting to work late in the name of sleep isn’t necessarily a positive sleeping pattern. But it would be a good idea to cover the face of your alarm clock so the glow isn’t visible. You’d be amazed, if you looked around your room, how many things are glowing. Just blocking all of those things with fabric or paper and being in complete darkness will help your body achieve the sleep you long for. Along the same lines, invest in dark curtains that will block any glow from outdoor lights and that will help you sleep through the morning sun as it rises. There’s nothing worse than finally getting to sleep only to have the sun rising in an hour or two. Unless reading actually helps you go to sleep, don’t read in bed. And move the TV out of the bedroom. Only use your bed for shut-eye. The idea is to get your brain used to only sleeping when it’s on that fluffy thing called a pillow. Buy some that are made to support your body. There are many chiropractic-approved pillows out there. And don’t stop with the pillows – think about your bed too. They may not necessarily be fluffy but, when you get a bed and pillows that keeps your body in a natural position, it can help your body get to sleep and stay there. And, as a bonus, you might wake up with less discomfort due to awkward sleeping positions. You could be involved in a vicious cycle and not even know it. You’re not getting enough sleep so you drink a cup of coffee to get through your afternoon. But that cup of coffee, even if early in the afternoon, could still make it harder for you to snooze later. Fight through your afternoon in other ways to break through the cycle – other ways like . . . Yes, short – no longer than 20 minutes. Even if you feel like you need more, get up. If you doze too much in the afternoon, you’re just making your sleeping pattern worse and worse. And it’s been shown that a quick 20 minute power nap can give you the boost you need. SLEEPSolve 24/7 contains ingredients that work against the hormones and stresses that are associated with bad sleeping habits. It’s all natural and we stand behind it’s ability to help you with your sleeping habits. And so do scientific studies performed on the main ingredient.